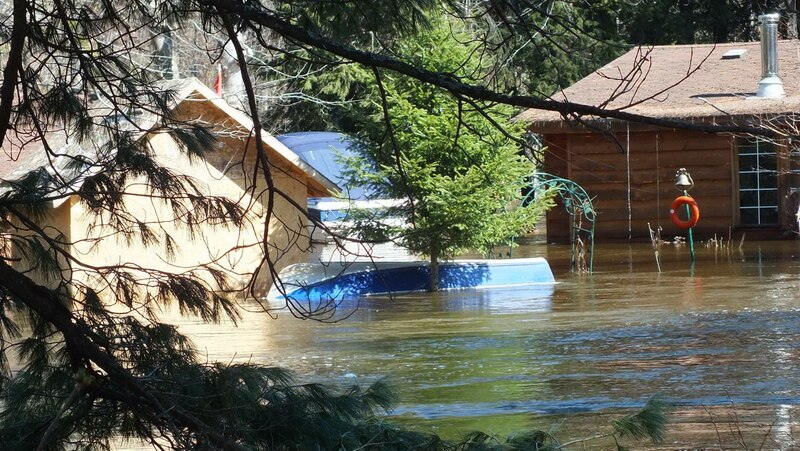 In the spring of 2013, it was evident that spring was upon us along the shores in Huntsville, Ontario. Not only had the heavy snows of winter 2013/14 all but melted away, but April showers were in full swing. 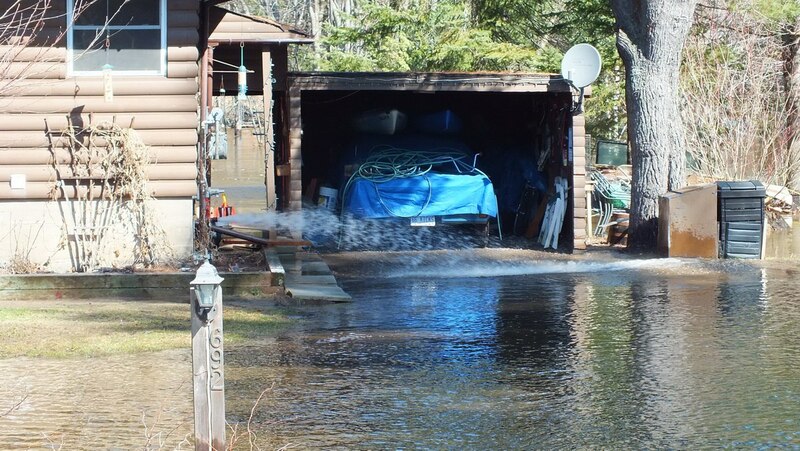 For several days in a row, heavy rains had added to the runoff creating dangerous levels of water and flooding in all bodies of water. 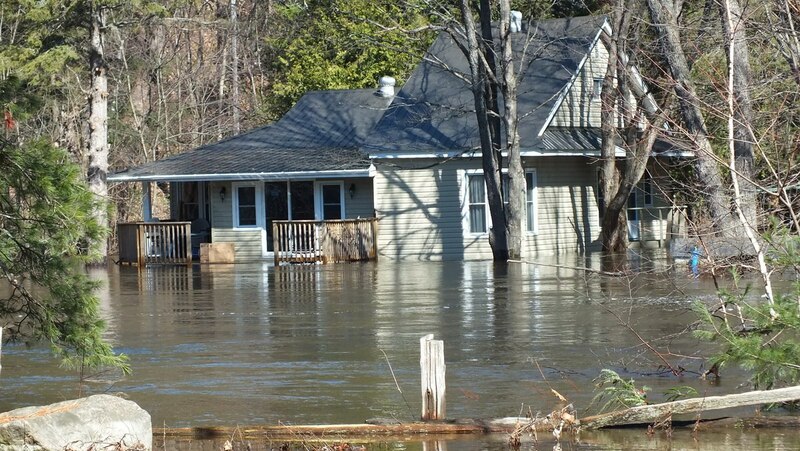 Huntsville was one of the worst hit areas when it came to the Flood of Spring 2013. 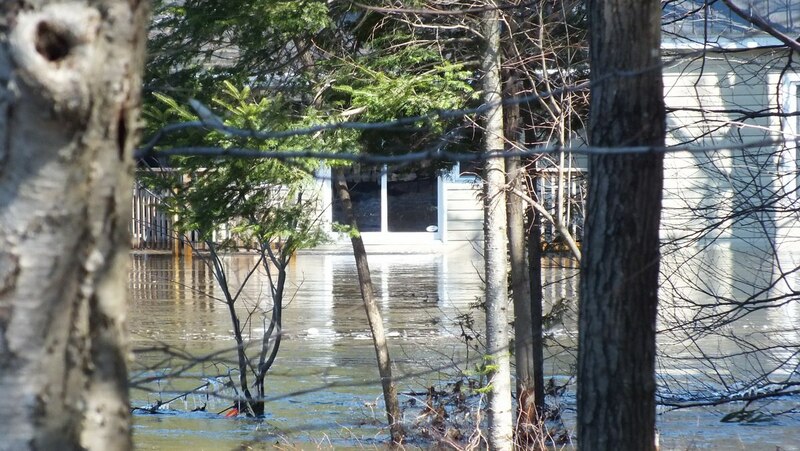 As of this past Friday, the mayor of Huntsville had declared Huntsville a disaster zone. 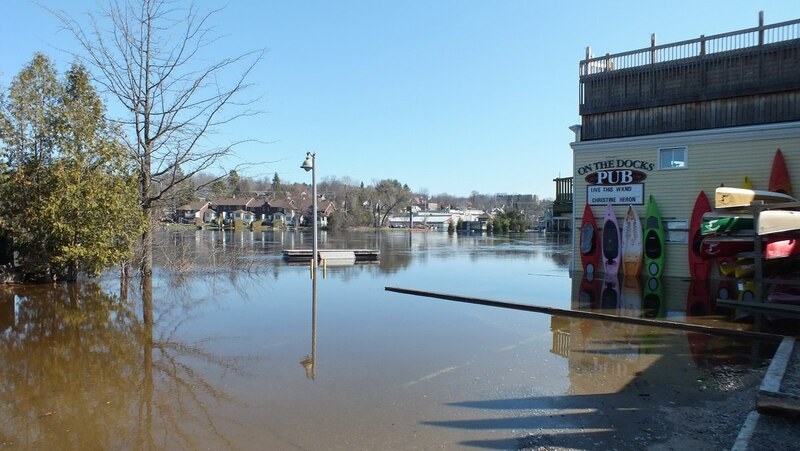 Businesses along the Muskoka River, where it flows through the town, were inundated with the rising waters. 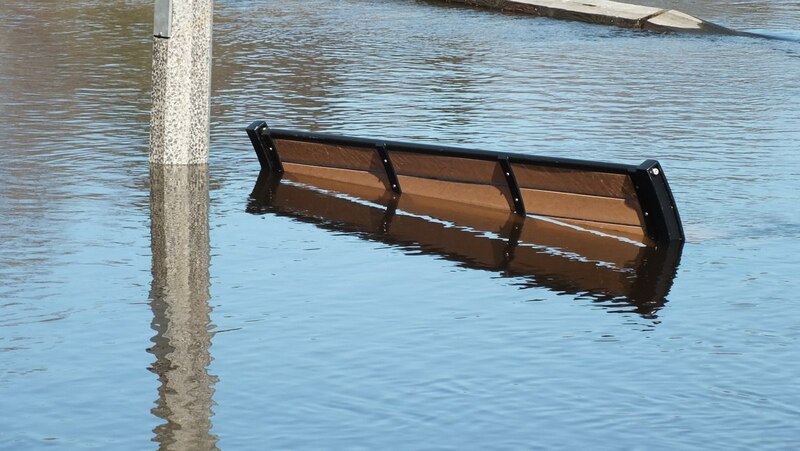 Park benches along the promenade gave some indication of the water’s depth. Kayaking anyone? 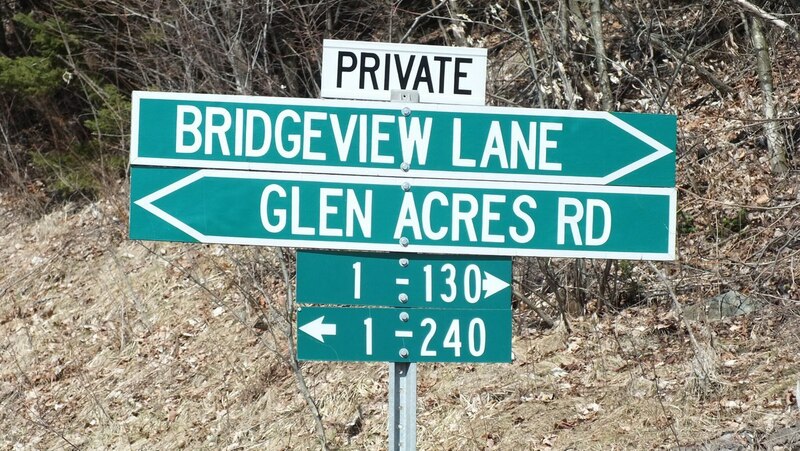 Under these conditions, it might be a good way to get around. 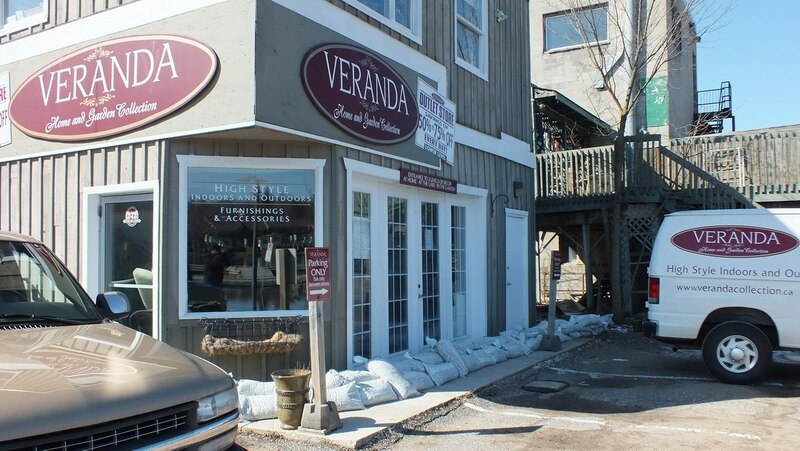 Efforts to sandbag those establishments as of yet untouched by the flood waters kept area business owners busy and gave them a sense of satisfaction by doing something to stop the encroaching waters. 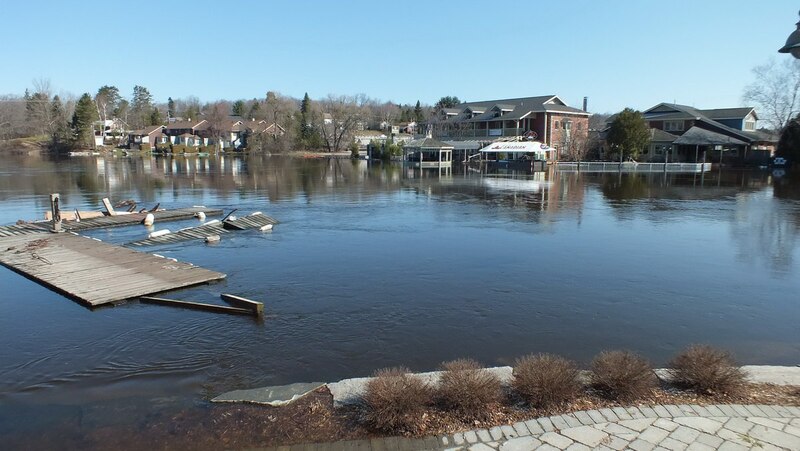 Loads of debris, including several docks, were seen floating idly in the swift current. 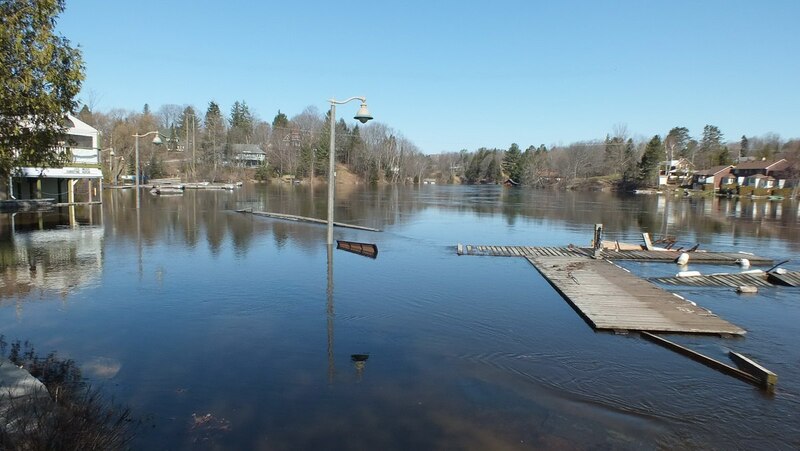 Even the town’s main dock was in danger of being damaged. 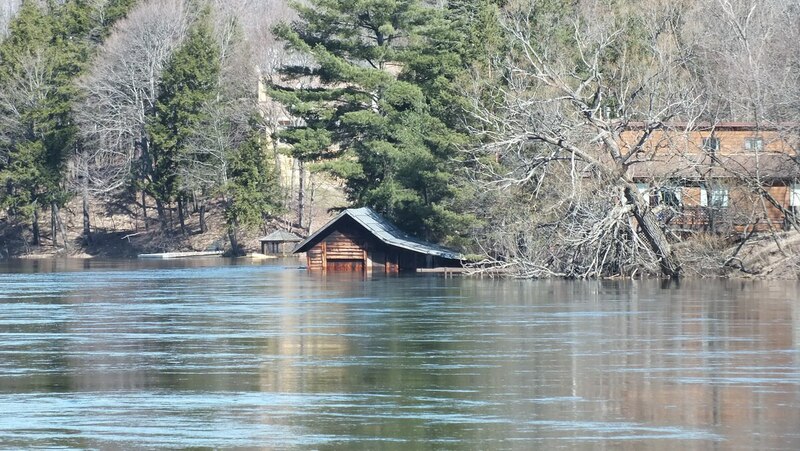 Out along the Big East River, all that could be seen of some boathouses was the top half. 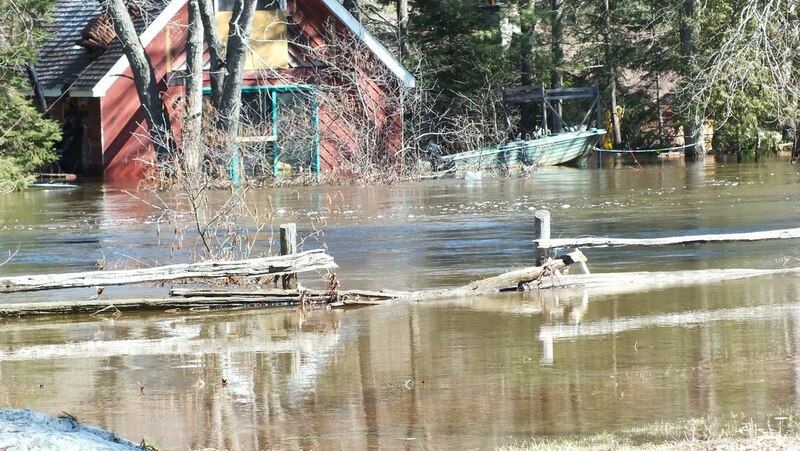 That was on Sunday by which time the flood waters had temporarily receded a few inches. 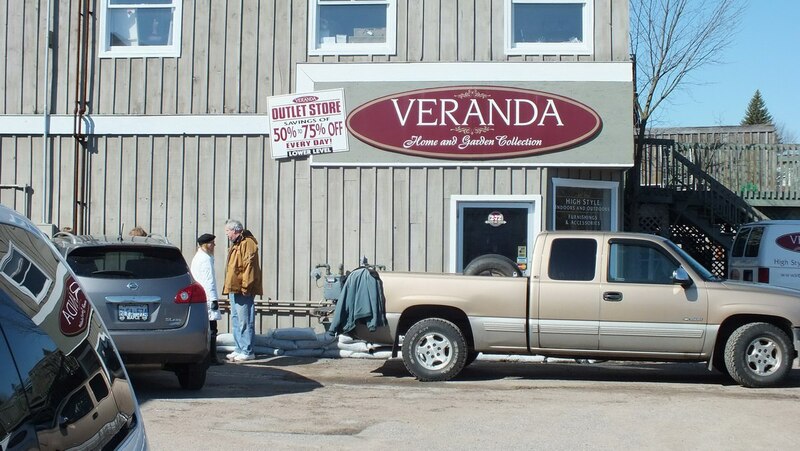 From the far shore of the river, Bob and I could see objects floating around inside one building, even as the river coursed by the property at a good clip. 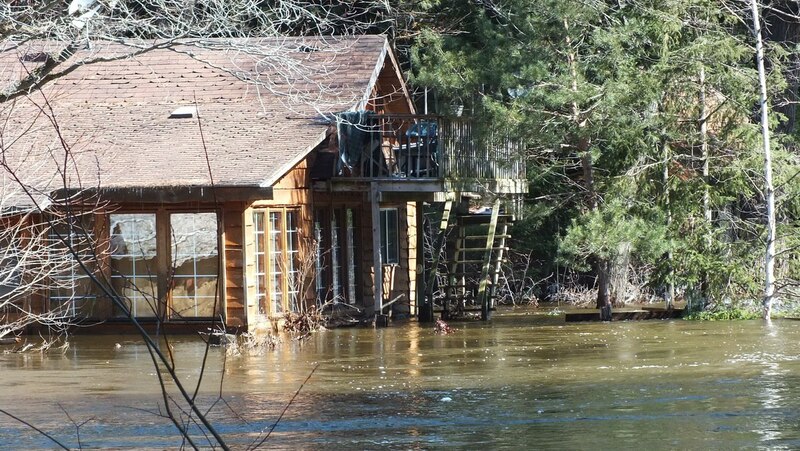 Building on the flood plain of a river does have its challenges as seen here where a cottage would be better suited as a boathouse. 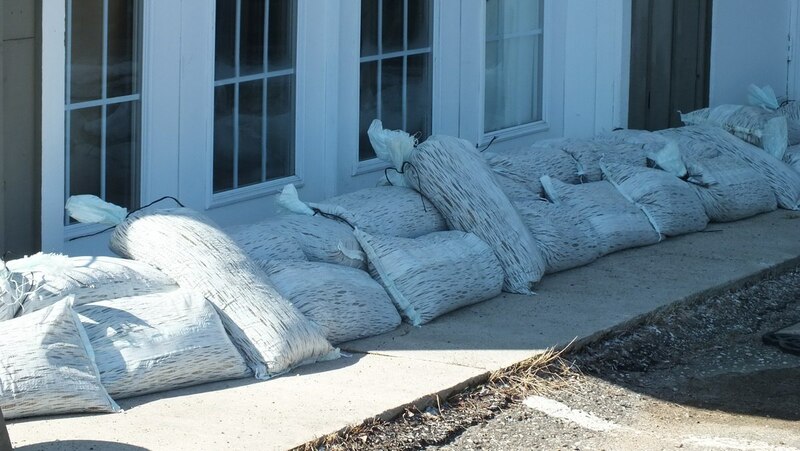 With the river expected to rise further within the next 24 hours, area residents prepared for the worst. 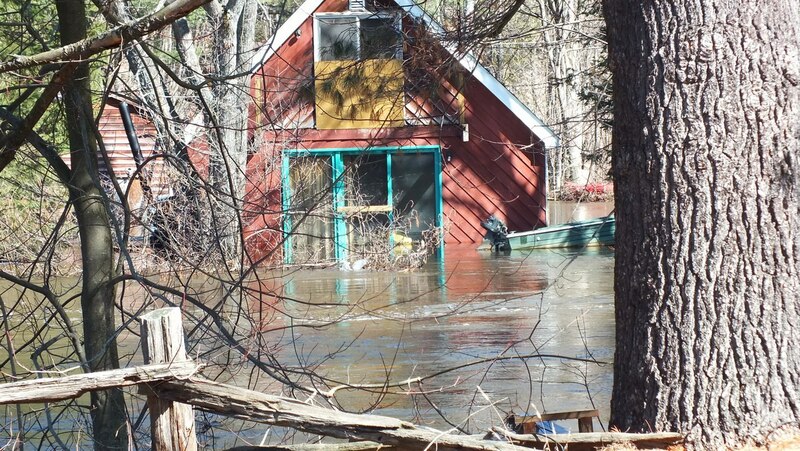 Many residents had been asked to evacuate their homes and properties, boil their drinking water, and throw out any food that had come into contact with contaminated floodwaters. 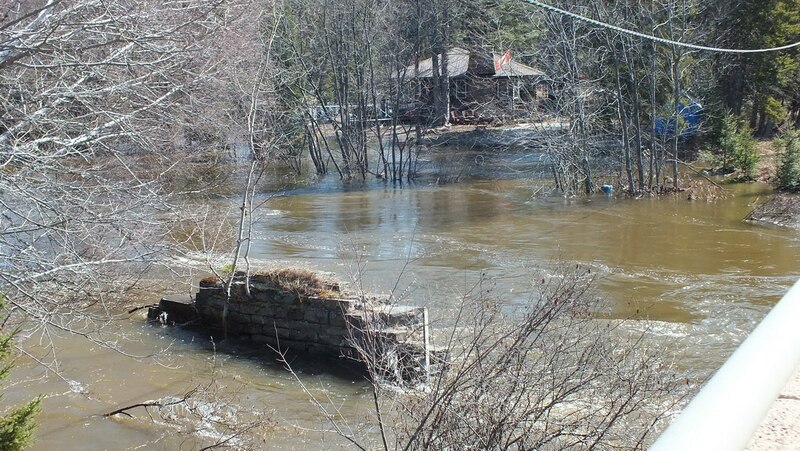 The constant roar of generators powering sump pumps could be heard over the sound of the rushing river. 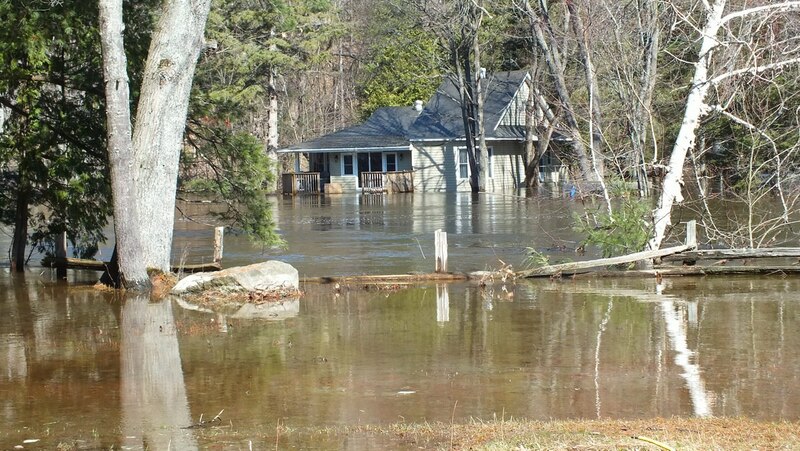 All hydro had been cut off to those houses affected by the flood. 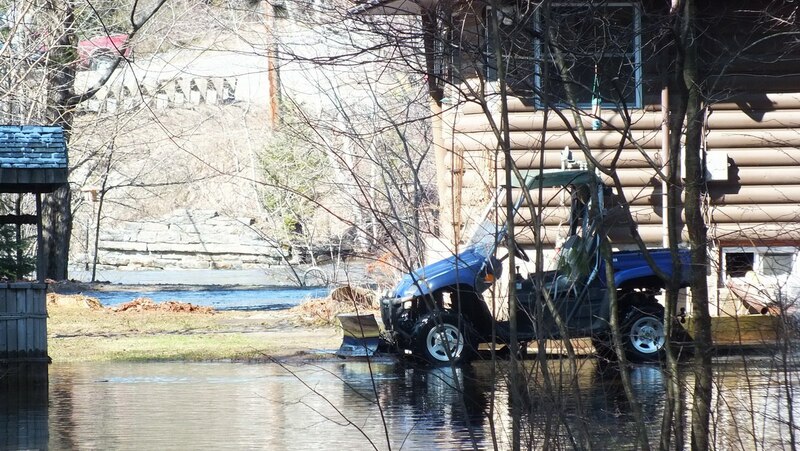 At random moments, the owner of one property bulldozed water away from his foundation. For Bob and me, it was a real reminder of just how powerful and unforgiving are the forces of nature and water. 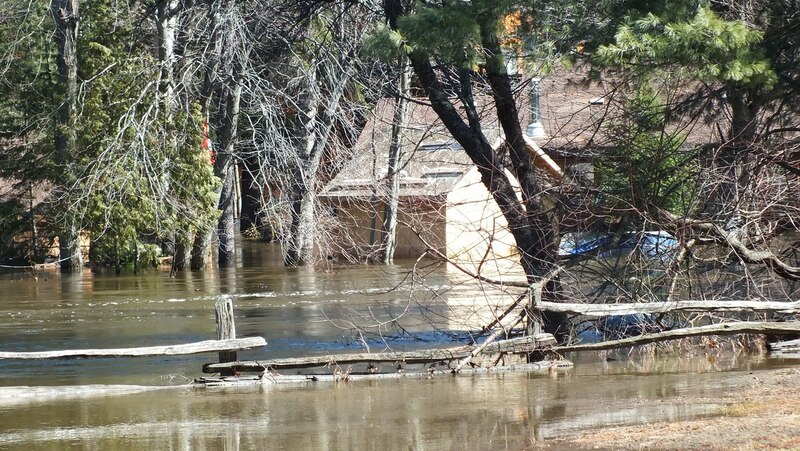 Only for this cedar rail fence, Bob and I wouldn’t have known where the river front property ends and the river begins. the Big East River had well overflowed its banks and reminded everyone that its course can be broad and unbridled. 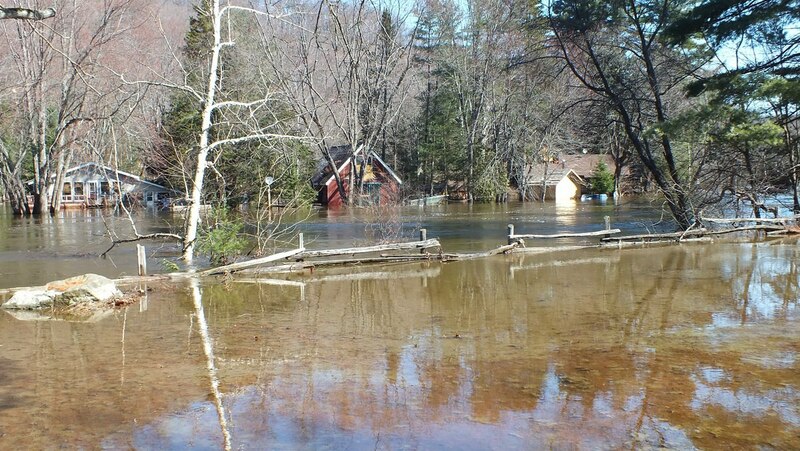 This is the first flood since the last one in 2008, and yet, the flood of 2013 has broken all records and was declared the worst yet. 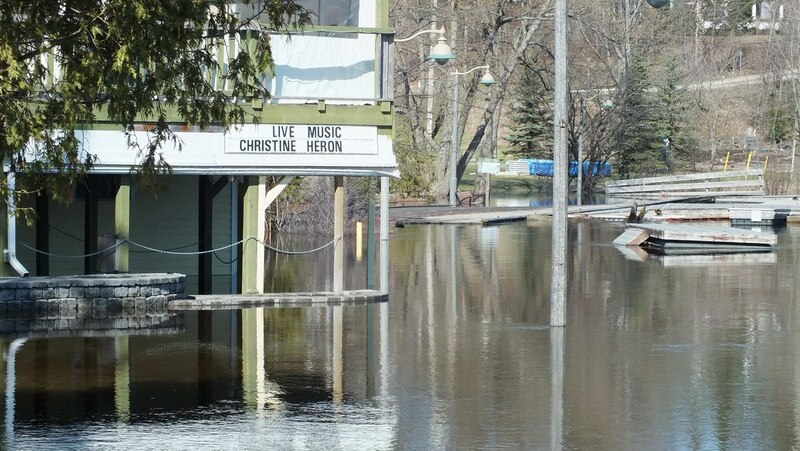 Yes, Natalie, I feel sorry for the residents affected by these seriously high waters. 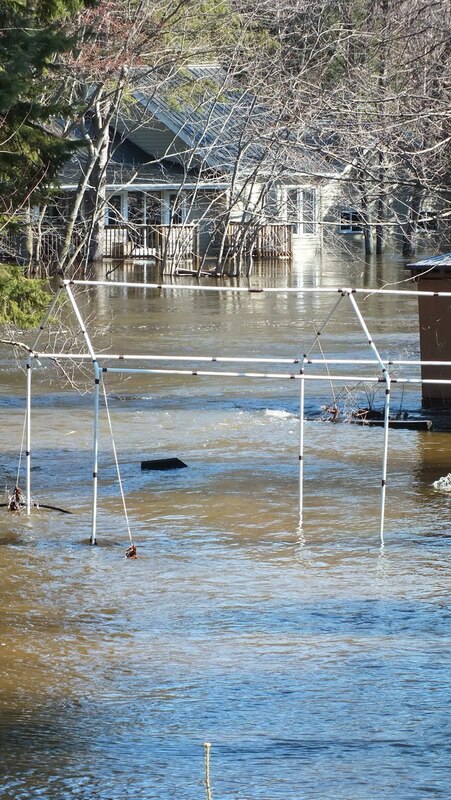 And I hear on the news that the water levels continue to rise in some areas affecting even more communities.